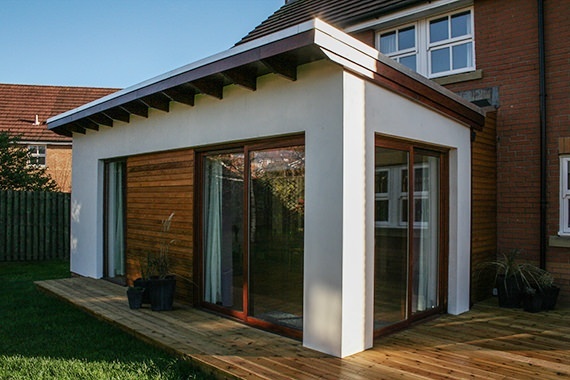 A conservatory was replaced with this highly insulated garden room, providing much more useful accommodation. 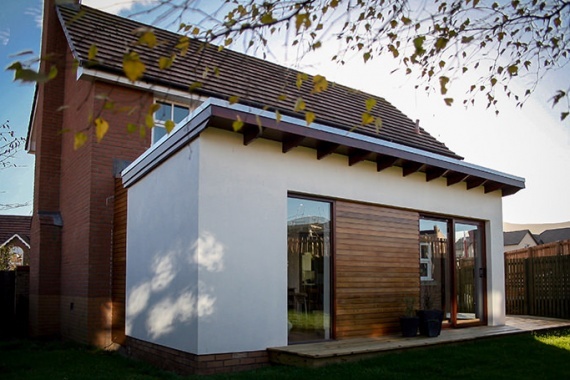 A brick detached house at the edge of a modern development is the setting for this small garden room. A fairly recent upvc conservatory was demolished to make way for the extension, the conservatory being too cold in winter and too noisy in the rain to make it comfortable. 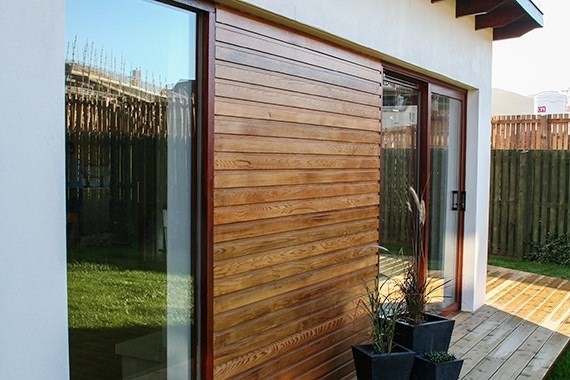 The new highly insulated garden room now makes the whole house feel warmer and provides much more useful accommodation. 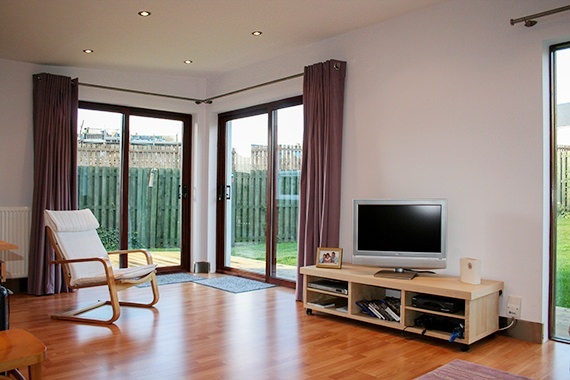 New sliding/folding doors separating the existing house from the extension were soundproofed to keep the noise from teenage children at bay and provide the various generations with their own space. A rooflight provides additional daylight in through the existing lounge doors and large sliding patio doors open the extension up to the garden. Aesthetically, the smooth render and timber cladding, reminiscent of a number of other projects, creates a contrast with the existing facing brick walls of the dwelling.